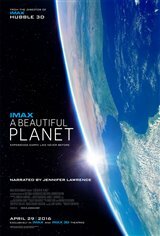 Narrated by Jennifer Lawrence, A Beautiful Planet offers an exploration of Earth as seen from outer space, exclusively in IMAX and IMAX 3D theatres. 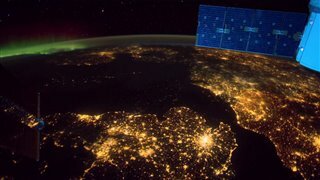 The astronauts in the film show us unique and beautiful views of the world, including colorful night views from the International Space Station, giving us an understanding of how the natural world works and expanding what human beings can do. "my son likes this movie. a good way to learn."